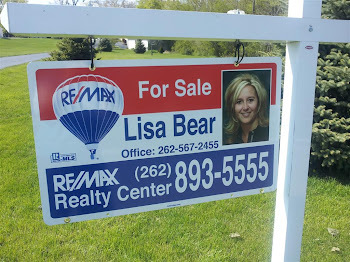 Wisconsin Living and Real Estate in Waukesha County Wisconsin, Lisa Bear 262-893-5555: Home Warranties versus Home Insurance - What is the difference? Home Warranties versus Home Insurance - What is the difference? Home warranties are not homeowners insurance. Homeowner’s insurance covers the house itself, usually against fire, theft, vandalism, windstorms, natural disasters (with extended coverage for floods/hurricanes, etc. ), accidental damage, or injuries. The job of this type of insurance is to protect your investment and your liability. But homeowner’s insurance rarely covers the home’s mechanical systems, leaving you vulnerable to the inconvenience and costs associated with breakdowns of these systems. This is where a warranty can come in. Buyers benefit from a home warranty because they offer the assurance that repairs to mechanical systems in the home will be covered with only a small out of pocket expense. Sellers benefit from them because they make the home more attractive to buyers and they are “off the hook” if a large repair is needed. For this purpose, a home warranty might indeed offer just that – peace of mind, and a message that everyone wants this deal to go through. Some home warranty policies are transferable and provide coverage up to a year, or a new policy may be offered by the seller to the buyer for the duration of one year after the sale. Buyers should ask about the nature of the warranty, and sellers should do the research to know what they are buying. When purchasing a home warranty there are a variety of options including duration of the plan and what systems are covered. Comprehensive plans are more expensive than those that cover only the heating and cooling systems, plumbing and electrical. Hot tubs, pools, and other more elaborate systems or appliances may or may not be covered, so check carefully. Whether or not the appliance is built into the home may also be a key factor. Getting a home warranty is easy – most companies are willing to take your money after you fill out an online application, without a home inspection. Companies offer many different levels of coverage, with regard to duration and what is covered. The more comprehensive the coverage, the larger the initial cost. Some companies will advertise “no waiting period” and others advertise “no service fee” – but with each company there is research to do. After all, if home warranties were all great, or essential, everyone would have them. Beware of the “hard sell” – most companies direct the consumer to a page online where they will have a representative contact you with an estimate. Before offering your contact information, it may be beneficial to research each company online to find out more about the service plan details prior to a sales person contacting you. You will be more in control of your shopping experience, and less pressured to make a decision. Problems around home warranties usually arise when there is a dispute around coverage or there is a disagreement as to whether the system has been adequately maintained by the homeowner. Clauses in the contracts often state that systems must not have been “misused, abused, or poorly maintained” and that the issue can’t be a “pre-existing” condition. Many contracts include a 30 day “waiting period” after enrollment, before a warranty begins. Additionally, if there is question as to the adequate installation of a system, there might be additional fees. For example, if a water heater did not have an earthquake strap, there might be an additional feel to install one. Finally, if problems compound and several separate repairs are required, multiple service fees may be charged, even though the service provider only made one call to your home. Peace of mind can be worth quite a lot, and a home warranty might offer just that. When selling or buying a house, a home warranty can be just the ticket to ease troubled minds. Purchasing a home warranty involves doing some leg-work to understand just what is covered, for how long, and for whom. Ensuring that each party understands the nature of the warranty is critical, but in the end it might be a good deal for everyone involved. Only you can decide. Need more real estate information? Call me -- I am always available to help you out!